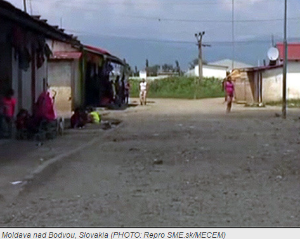 ​News server Romovia.SME.sk reports that the Slovak Interior Ministry's Inspection Authority has halted the prosecution of the police officers involved in a raid on a Romani settlement in Moldava nad Bodvou in the summer of 2013. Romani residents of the settlement have now turned to the Constitutional Court with their complaint about the raid. In March of this year the Inspection Authority revoked four of the six counts on which the police officers were charged. The Interior Ministry has now completed its investigation of the two remaining points, one of which was trespassing and the other of which was abuse of the power of a public official by using disproportionate means of force in a repressive manner. The ministry has ruled that the intervening officers did not break the law. Slovak ombudsperson Jana Dubovcová previously asserted that the intervention did not meet the condition of necessity, which means that the fundamental rights and freedoms of the Romani people involved were violated, reports Romovia.SME.sk. ​From August 1, 2016 the new Public Education Act in Bulgaria has entered into force. Expected more than 10 years and developed during 5 of them, the Act has the ambition to reform fundamentally the Bulgarian education that has been in deep crisis. What will be its effect on rural education and the educational integration of Roma children and students: two of the segments that often go unappreciated as potential for the development of Bulgarian education, but which in fact are keys to make the school a leading factor in the success of every citizen and society? 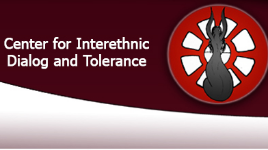 ​The Prima television station in the Czech Republic must have some sort of "anti-ethics code" obligating it to constantly incite the public against minorities. Previously, for example, it was revealed that its news editors were instructed by their superiors to report about refugees in exclusively negative terms. 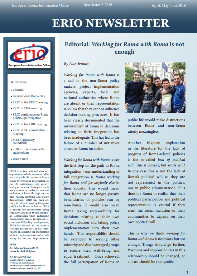 Now those editors seem to have switched their attentions back to Romani people. What Prima actually produces is not news reporting, which by law is supposed to be balanced and objective, but a ceaseless campaign against minorities.